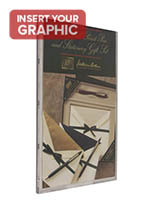 Need an affordable solution for displaying graphics? 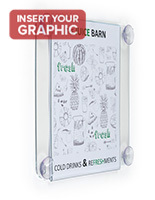 These slide-in frames are made for placement on glass, walls and other surfaces. Displays like these are great for any user because their fabrication allows for simple image replacement. 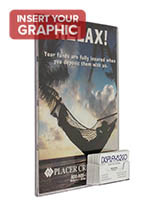 The slide-in frames, or easy change signs, all feature a "top insert" or "side insert" that means that posters only need to be pushed in without any disassembly or other complicated procedures. 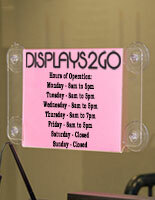 Each fixture is either made of plastic or aluminum with a clear lens for protecting their contents. These slide-frames come with a variety of other features based on the individual model, find the one that's right for you. What types of easy change sign are available in this category? 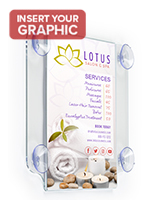 The first type of slide-in frame is the suction cup display that is made to stick to glass and other non-porous surfaces. 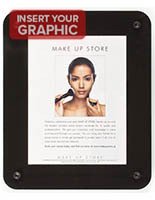 This window signage is great for use on doors and other high-visibility areas and can direct customers, inform passersby and keep patrons up to date. Most of these are made entirely of clear plastic, allowing them to blend in to their surroundings, but others feature a black outline that makes their message stick out. One feature of these frames that makes them an ideal choice is that they can showcase a double sided poster, increasing their impression. 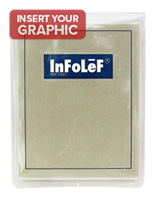 Some come with a business card pocket that allows them to dispense contact information while advertising. Window signage like this features (4) or more suction cups, one on each corner. Slide-in holders also come with a design that features magnetic tape strips for attaching to glass, metal and wood surfaces. 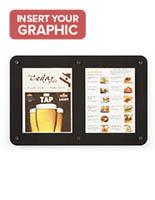 These are also made of plastic and can hold a poster measuring 8.5" x 11" in a portrait orientation. 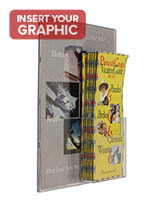 The wall frames can feature the option of a business card pocket or a brochure dispenser, making them excellent for doctor's offices, service organizations and retail stores. Another style of the slide-in holder is the aluminum fixture that affixes to walls. 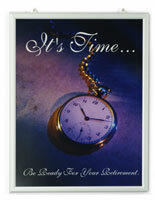 These easy change signs are available in the sizes of 22" x 28" and 24" x 36", making them great for larger posters. Their silver anodized aluminum finish will complement any environment, allowing them to fit in at movie theaters, restaurants and salons. Each model includes a non-glare plastic lens that prevents graphics from fingerprint and moisture damage. All slide-in holders feature a thin profile, fitting into any hallway or small room. 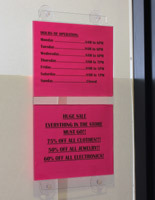 Restaurants often use wall and window signage like this to advertise daily specials, new menu items and other updateable information. 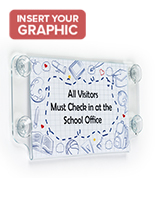 Easy change signs for glass surfaces are especially useful for informing patrons of business hours when placed on a door or near an entry. The affordable price of these units makes them an ideal choice for any business. 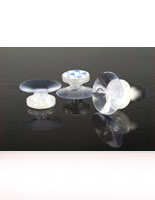 Their simple top- or side- insert fabrication minimizes the need for moving parts, keeping their cost down. Both small and large fixtures are excellent for single or bulk purchasing and will be cheaper in larger orders.